The second you pop out a kid you become the recipient of unsolicited and unwanted advice from other parents. Sometimes you can politely smile while backing away, but when it comes to relatives - especially your child's grandparents - pretending to listen isn't so easy! As much as we love them, here are 12 ways grandparents undermine and judge your parenting. First comes love, second comes marriage, third comes baby, and fourth comes the inevitable battle of opinions between parent and grandparent. Now grandparents ARE experts in taking care of children! They raised you, your spouse, and have years of hindsight that they're willing to share with you (even if you don't ask). It'd be to your benefit as a mum to listen to what your parents and in-laws have to say about raising kids...but that doesn't mean you have to do everything they say, and some grandparents might be miffed by that! ​Suddenly their suggestions can turn into annoying discussions where they give nasty reviews of every parenting decision you make or maybe they don't enforce the most important parenting rules whenever they're watching your kids. Sure, grandparents have license to spoil their grandchildren a little bit but when it undermines your authority as a mum, things are sure to go sour! So many adults have fond memories of their grandparents discreetly handing them a piece of candy when their parents' backs were turned. It's no secret that grandparents love to spoil their grandchildren and parents expect to find some cookie crumbs on their kids' faces after a day with their grandparents. But when they come home from grandma's sugared up and bouncing off the walls EVERY SINGLE TIME, it takes a lot of willpower to not pick up the phone and shout, "What were you thinking?!?" at your in-laws! When your parents or in-laws can't spend every day with their grandchildren, it's easy to "forget" to put them down for some shuteye. Unfortunately, you parents will be paying for that missed nap time later in the evening. Ugh!! There's nothing more annoying than hearing your parents dissolve into a fit of laughter after your child says something sarcastic or downright rude. They might think it's hilarious...until they get backtalked themselves! A thoughtful present every now and then from a grandparent is, of course, appreciated! But if your kid's grandparents are buying them toys every single time they walk into a store together, they run of the risk of turning your child into a entitled brat who suddenly demands YOU buy them something during every outing. Not okay! Handing your baby off to an excited grandparent so you can get some rest is amazing but things can take a turn for the worst when your parents or in-laws insist on helping with every aspect of your baby's care that their attention becomes overbearing. You don't need your mother-in-law hovering over you whenever you change the baby's diaper or breastfeed in the nursery. Sometimes you just need it be mummy and newborn. When you asked your dad to bring your kid back by 6 o'lock for a family dinner, that's wasn't a suggestion. Nevertheless, he arrives at 8:30 with no apologies! 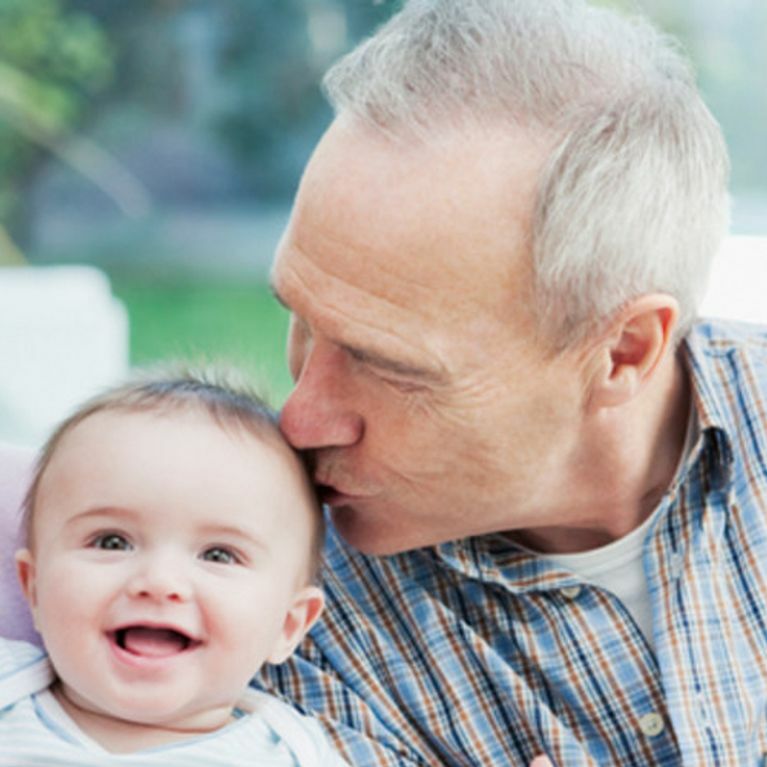 Grandparents are like free childcare, particularly during the early months of their grandchild's life, and you should be grateful to your parents and spouse's parents for watching your children. However, some grandparents will use the free care card against you if they realize you're reliant on them to babysit. Watch out because they could threaten to stop watching the babies if you give them grief over how many cookies they gave your little ones for dessert that night. That kind of behaviour from your parents or in-laws is hurtful and childish! As a parent, you should be open to receiving advice from your parents and in-laws on parenting. But those discussions shouldn't happen when you're in the midst of nursing your baby with a bottle and your mum asks why you're not breastfeeding in a condescending way. Holy moly, this form of helicopter grandparenting takes the cake! If you have an argument with your child over screen time or unfinished homework in front of their grandparents, the last thing you want to hear is your dad chiming in with, "Well, isn't your mum being annoying right now?" All the work you did to correct disrespectful behaviour in your kids like lying or bullying, can be undone in one afternoon at your grandparents house. Rolling their eyes, huffing and puffing, and mumbling about "how things SHOULD be done" under their breaths. Just...STOP! Grandparents do have lots of knowledge about parenting but they don't need to be critical of your every decision. Do you have any experiences of pesky grandparent behaviour? Tweet us @sofeminineUK!